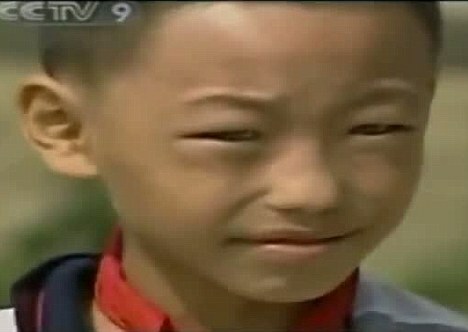 Has this Chinese boy really been born with cats eyes that allow him to see in the dark? A boy has stunned medics with his ability to see in pitch black with eyes that glow in the dark. Nong Yousui from Dahua was born with bright blue eyes, which are very rare in a Chinese person claims he can see perfectly clearly even in complete darkness. Doctors have studied Nong Youhui’s amazing eyesight since his dad took him to hospital in Dahua, southern China, concerned over his bright blue eyes. Medical tests conducted in complete darkness show Youhui can read perfectly without any light and sees as clearly as most people do during the day. To test his abilities, a Chinese journalist recently prepared a set of questionnaires which he was able to finish in a pitch black room. It is claimed, that his eyes reflect neon green when a light is shined on them, just like those of a cat. However many experts remain highly sceptical of the claims. In animals, night vision is made possible by the existence of a thin layer of cells, called the tapetum lucidum. This has never been found in humans. For such a feature to occur in a human would require multiple mutations to happen at once which experts say is impossible. Could Nong Youhui be a Starchild? Is the human species evolving, or possibly are Extraterrestrial visitors tinkering with our DNA? Or does he just have very good eyesight? We don’t know what to think – watch the bizarre video below and decide for yourself. Those eyes are like blue gems! Those are the most beautiful eyes I have ever seen.